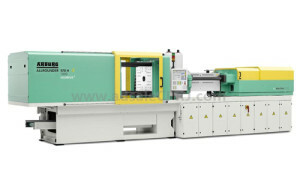 At T-Plas 2015, Arburg will be showing an Allronder injection molding machine producing drinks bottle closures, as well as the Freeformer additive manufacturing machine. “With a hybrid Allrounder 570 H in the ‘Packaging’ version, we will be presenting an injection molding application designed for high volume production in the packaging industry. This efficient high-speed machine produces 24 water bottle closures in only three seconds,” explained David Chan, Managing Director of Arburg Singapore and responsible for the entire ASEAN region. This high-speed machine from the Hidrive series offers high productivity and reduced energy requirements for applications in the beverage industry, according to Arburg. 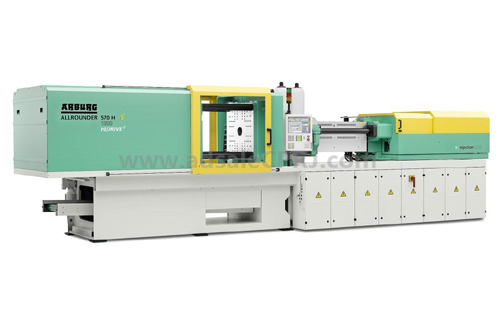 The exhibit, which features a clamping force of 1,800kN and a size 800 injection unit, operates with a 24 cavity mold from Z-moulds. The closures weighing 1.25g are produced in a cycle time of around 3s. Another highlight, the Arburg Freeformer, will demonstrate the production of gear cards and spray heads for cosmetic containers. The Freeformer initially melts conventional granulates in a plasticizing cylinder, similarly to injection molding. A second discharge unit can be used for an additional component, for example to produce a part in different colors, with special tactile qualities, or as a hard/soft combination. At the show, the Freeformer will combine a standard acrylonitrile butadiene styrene (ABS) granulate with a special support material. The supporting structures used during the additive manufacturing of the gear cards and spray heads for cosmetics containers can be subsequently removed in a water bath. T-Plas will be held in Bangkok, Thailand from August 26-29.